Empire Marketing provides custom website development to Toledo and nationwide businesses, brands and professionals. We are WordPress and Joomla experts committed to designing responsive websites that engage your customers, stimulate traffic and cultivate your brand. We build value and help our Toledo-based clients to achieve their unique business goals by connecting sustainable technology, clean design and exceptional service. Explore our web design, e-commerce store, logo design, brand identity, content creation and photography solutions and contact us today! 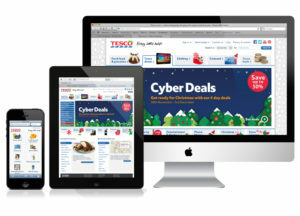 Why is A Responsive Design Important? Worldwide mobile and tablet traffic is at an all-time high and search engines are rewarding brands and companies that have responsive websites. Responsive web design ensures that websites display correctly on every device. This provides a fluid, intuitive user experience regardless of screen size. This best practice not only helps ensure that each website user has access to the same information and online tools, it also facilitates the commercial and brand awareness goals of a website. A website with responsive design from Empire Marketing can be depended on to function reliably, so that no user is ever left out of what your organization has to offer. Whether a visitor connects to your site from a mobile phone, tablet, laptop or desktop, a responsive website will adapt accordingly and its functionality will remain consistent, regardless of the device. The site will be built to rank well within the search engines and all SEO setups are included. For today’s fast-paced world, being without a responsive site can severely limit your traffic and lower conversion rates. Though responsive web design is not a new standard, many organizations have not adopted it on existing sites. Given that so many people use smart phones and tablet devices to use the Internet, investing in responsive design is a wise idea. 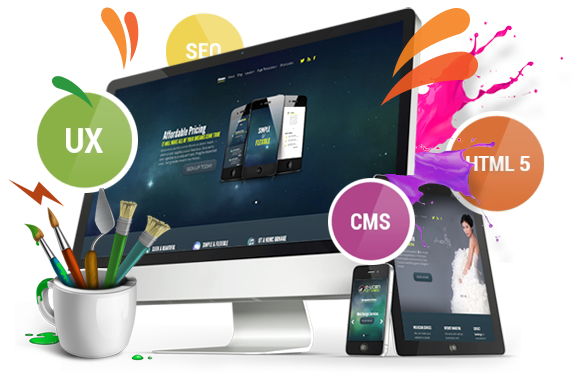 Organizations can lose significant traffic flow simply by having an unresponsive website. Since functionality is not ensured, each user may encounter different obstacles in using your website to its full advantage; poor conversion rates are a natural consequence. Our Toledo website design team can help make certain that every page on your website is responsive and functional, thereby providing the best experience to each user.